git-annex/ forum/ Where are my remote ssh files? I managed to sync files to a remote ssh store "bible" with git annex sync --content however, where I ssh to bible, I was surprised not to see any of the JPG files that were copied there. 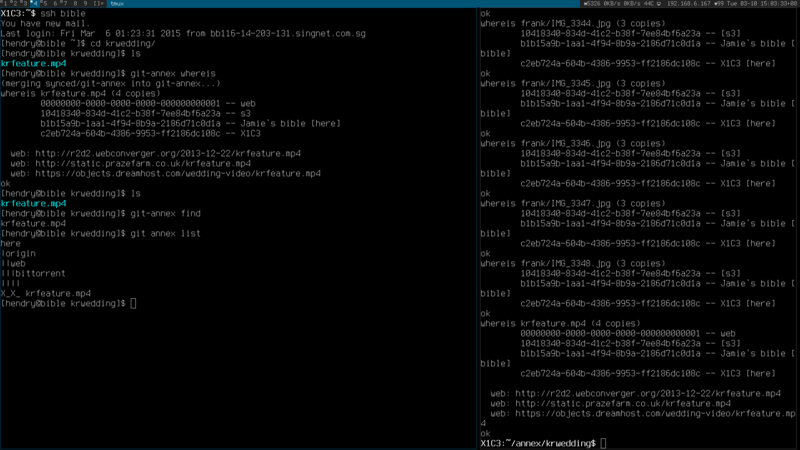 I need to run git annex sync on the host bible too!